Stella has insanely brilliant blue eyes, a fabulous sense of humour, and enough energy to go around. Geoff is a baseball lover, about as relaxed as they come, and has a great smile that’s dangerously contagious. Their love of education and caring for children lead them to meet in College while studying to be Early Child Educators. They hit it off and have been joined at the hip ever since. 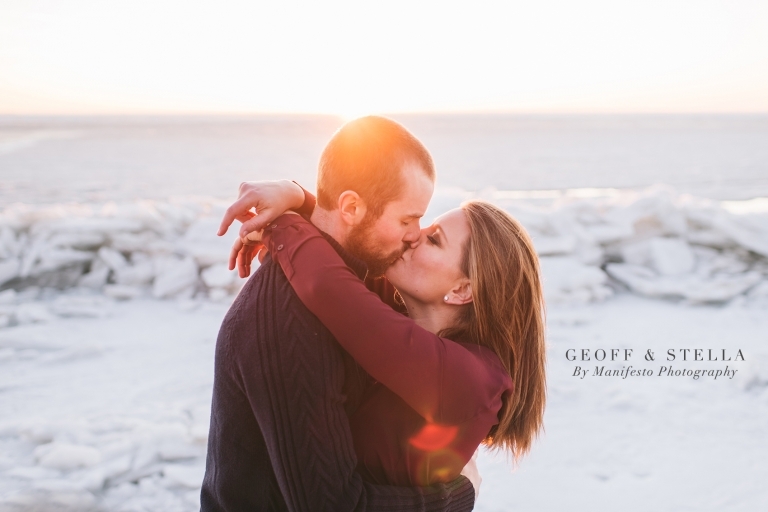 Geoff and Stella really wanted a winter engagement session. 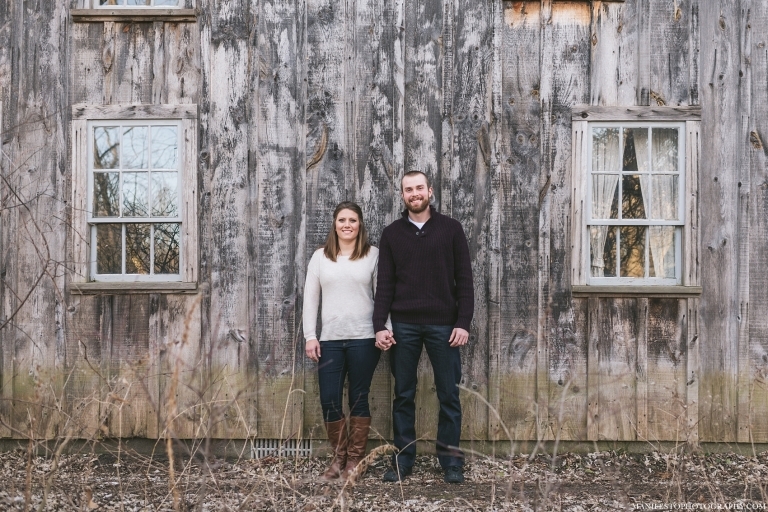 We booked their shoot for February thinking that would give us a chance for snow. Well, it turns out they had a gorgeous winter day with temperatures in the 60’s! Thankfully Point Pelee National Park had some amazing ice flows that allowed us to still capture the winter wonderland for at least part of their session. For the overall feel of the shoot, we wanted the atmosphere to be low key and peaceful. Stella and Geoff totally delivered with their comfortable and adorable love of each other. You all know we love those sweet genuine moments the best! The session ended with a stunning sunset, which made the perfect backdrop for us to snap some sweet kisses between these two best friends. Geoff & Stella, thank you for opening yourselves up to our cameras. 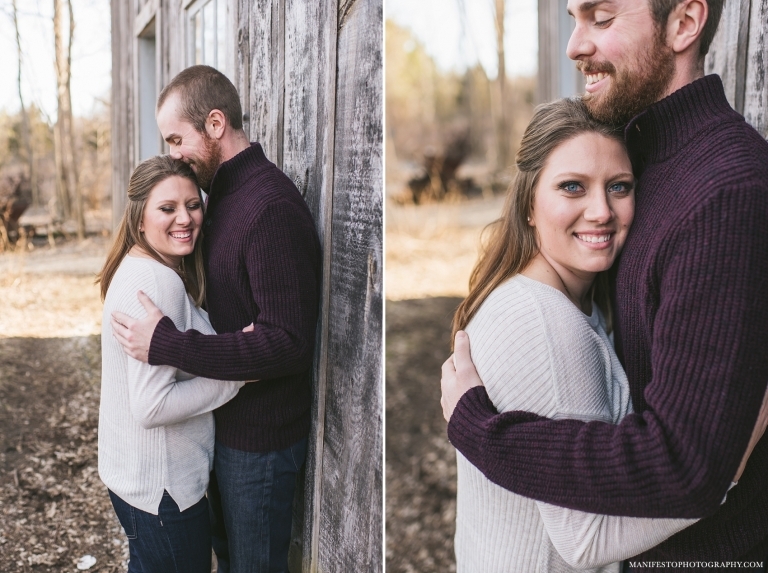 Photographing you both was a breeze! We are happily anticipating your upcoming wedding and of course photographing you both again.